Desc: Landstrom's Black Hills Gold Sterling Silver elongated rectangular necklace. 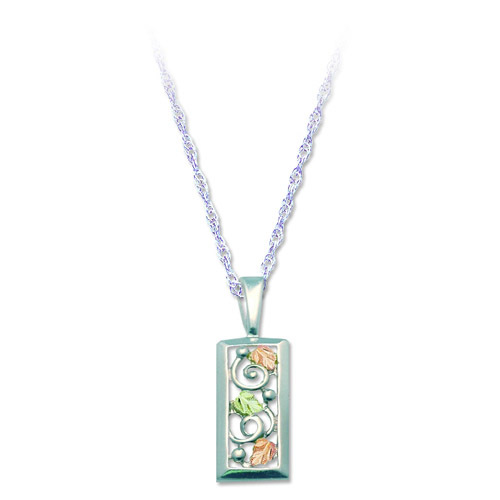 The pendant is elongated rectangular with rose and green gold leaves inside design. The pendant is open.